Barbara Hanger & Wayne Ferguson are but 2 of the 30 or so artists featured in Louisville Artists:Carry On, an exhibit opening September 23 at LVA. John Begley curated the show, and all three were our guests on LVA's Artebella On The Radio this week to talk about making a life in the arts in Louisville. 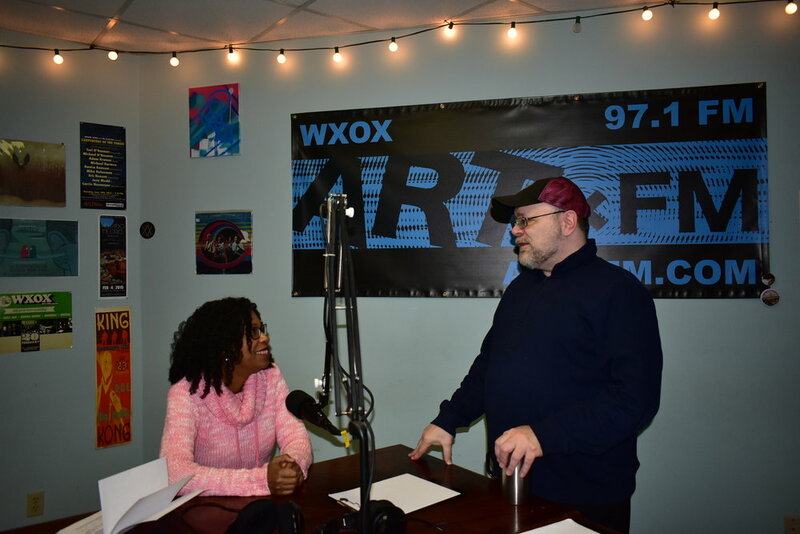 Tune in each Thursday at 10am on WXOX 97.1 FM/Artxfm.com. Barbara Hanger has worked in printmaking, paper making and book arts. She joined the faculty of the Department of Fine Arts at the University of Louisville in 1982 after completing her MFA degree at Ohio University. Hanger’s work has been exhibited in numerous invitational and traveling exhibitions locally, regionally and internationally including Mainz, Germany and Cortona, Italy. 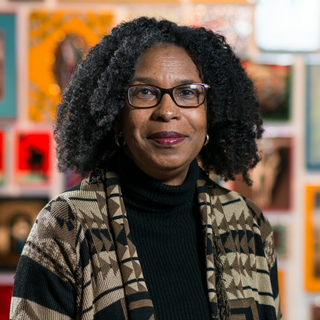 Barbara Hanger has received competitive grants from the Kentucky Foundation for Women, the Kentucky Arts Council, and the Ohio Arts Council. Wayne Ferguson has been creating unique works in clay for over 30 years. A Kentucky native, Wayne is mostly self-taught in clay. While he has attended workshops throughout the region he works mainly as a studio potter creating one-of-a-kind works. Wayne has been a roster artist with the Kentucky Arts Council for over 20 years, and he has taught at numerous public schools throughout Kentucky. Wayne was awarded the Rude Osolnik Award by the Kentucky Craft Marketing Program in 2006 and has been awarded the Early Times Scholarship as well. His work is published in Ceramics Monthly Magazine as well as other magazines and books. Sandra Charles is a 2017 Hadley Creative, and is currently a part of the "Strength In Three" exhibit at Art Sanctuary through February 28. We talked about all of that and more in the studio Thursday morning. Ehren Reed from LVA also stopped by to give us the 411 on Summer Camps! Tune in to LVA's Artebella On The Radio each Thursday at 10:00am on WXOX 97.1 FM / A R T x F M.com.